For over three decades (Est. 1986), Sierra Auction Management, Inc. has been dedicated to providing the best auction experience for buyers and sellers. Sierra is a full service auction company specializing in the sale and disposition of vehicles, equipment and surplus assets for over 150 government agencies, large and small corporations, bankruptcy trustees, financial institutions, and charities. Sierra is the sole auction outlet for seized vehicles from the Attorney General of the State of Arizona, Department of Public Safety (DPS), the Counter Narcotics Alliance (CNA), Maricopa County Sheriff’s Office (MCSO), and the vast majority of Government and Police agencies statewide! Additionally, Sierra has partnered with numerous charity organizations to auction donated vehicles. 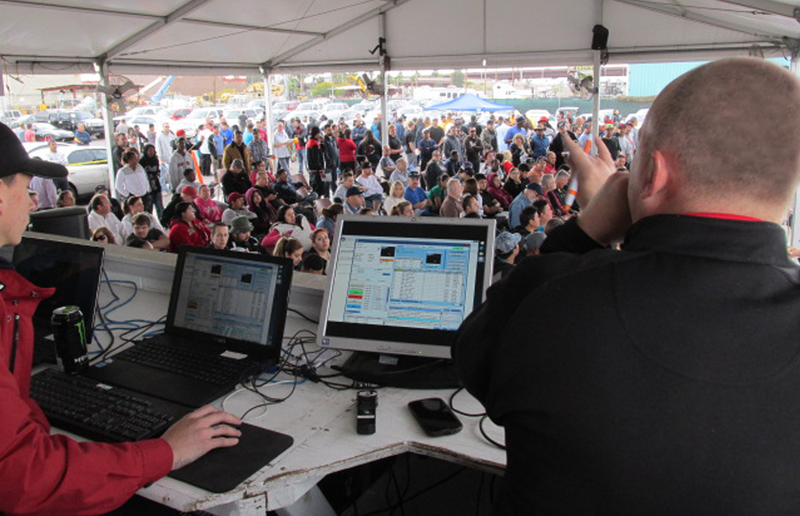 Sierra hosts the largest monthly public auctions in Arizona and is regularly attended by live auction crowds of new and returning bidders, many times more than its nearest competitor. Sierra’s experience and performance is unmatched in the industry. Sierra is a progressive and professional organization that is constantly improving its capabilities and services. The Sierra team is experienced and dedicated, with individuals who specialize in every facet of the operation; from auctioneers, real estate agents, inventory specialists, and marketing professionals, no other firm has the team that Sierra has assembled. A company is only as good as its commitment to providing Legendary Customer Service and the people that support that service philosophy. While our long history and extensive clientele are impressive, our legendary customer service philosophy and unmatched advertising and marketing expertise are equally as impressive. Please take the time to meet our team of hardworking, friendly professionals. If you have any questions or would like more information on any of our Arizona Auctions please contact at (602) 242-7121 or . Sierra’s market coverage extends Statewide, with offices in both Phoenix and Tucson. Each of our auction facilities host large monthly auctions. Two at our Phoenix auction location every 2nd and 4th Saturday of each month, and one main monthly auction in Tucson, every 3rd Saturday of each month. For an up to date list of auction dates, please check our auction calendar. With two locations strategically placed in Arizona we can effectively reach out to many diversified buyers and sellers. Mark is a Wisconsin native, has lived in the Phoenix area for 10+ years, and has spent 19+ years in the sales & management professions at various construction equipment suppliers, most recently as the VP of Global Sales & Marketing for a heavy equipment manufacturer. Mark has also headed up Corporate Planning and was interim President for a Mitsui-owned heavy construction equipment distributor in Phoenix, Arizona where his main responsibility was to oversee budgeting, inventory, and strategic growth. After receiving his bachelor’s degree from Princeton University, he went to Australia for a brief stint as a pitcher in their professional baseball league before moving back to the states to begin his career. He holds an MBA from Keller Graduate School of Management. He lives in Scottsdale with his wife Kelly. Michael Cleveland is a 20 year automotive industry veteran serving in various leadership roles with Enterprise Rent-A-Car and most recently as the General Manager of Manheim Tucson. Michael’s knowledge and experience in the wholesale market place have assisted him in building a reputation as a leader who understands the importance of relationship building and exceptional client experience. Anthony manages all Print, Direct Mail and Online Marketing/Advertising for Sierra, including Web Design, Graphic Design, Social Media, Video Production, and Multimedia. As an alumnus of both The Art Institute of Pittsburgh and Ft. Lauderdale as well as a 6 year Drafting & Design Committee Member at ITT Tech, Anthony has a highly skilled background in Marketing and Design, and is adept at identifying buyer trends and adopting effective advertising and marketing methodologies and strategies. Annette’s majority duties and responsibilities are customer relations with our consignors as well as a responsibility of organically growing our business through existing and new vertical markets. Annette also serves as an administrative assistant for the Bankruptcy department of Sierra’s operations, updating court and trustee required documents and managing files. Jared oversees the check-in/receipt and evaluation of all vehicle and equipment assets. Jared also manages the vehicle and equipment team in the detailing of vehicles and equipment, decal removal, police & emergency vehicle equipment removal, and vehicle inspections. Jared is expert at evaluating equipment features and options, and therefore plays an important role in the company’s detailing of vehicles and equipment accurately and successfully. Of equal importance, Jared leads internal vehicle safety meetings, to ensure that staff, customers, and vehicles are safe and secure. Ted carefully catalogs, categorizes and tracks each non-vehicle asset pre and post sale. Ted also applies asset and/or case numbers to each item that requires a specific designation. Additionally, Ted shoulders the responsibility of ensuring that Sierra abides by all legal, regulatory and safety requirements as dictated by the State and/or other legal entities. Mauricio carefully catalogs, categorizes and tracks each non-vehicle asset pre and post sale. Mauricio also applies asset and/or case numbers to each item that requires a specific designation. Additionally, Mauricio shoulders the responsibility of ensuring that Sierra abides by all legal, regulatory and safety requirements as dictated by the State and/or other legal entities. Mauricio speaks fluent English and Spanish which allows for successful communication with all of Sierra’s clients. Matt joined Sierra Auction as our firearms expert and manager of this vertical market. Matt helps Sierra Auction move through over 800 plus firearms each month and has full knowledge of every firearm asset that moves through his hands. She has been with us for several years as a cashier, head cashier, administrative assistant, and now as Cash Office Manager. Crystal is fluent in English and Spanish. Ada handles the majority of incoming calls in our Phoenix offices. In addition, Ada assists in overseeing daily office operations and in ensuring that vehicles are properly titled prior to each sale, all MVD records are up to date, and that title transfers have been properly conveyed. Ada also supervises invoice processing, data entry, filing, record storage, bilingual telephone communications, agency case number tracking, and numerous other duties. Ada is fluent in English and Spanish. Lilly has proven to be an important and valuable team member in our Tucson offices. With the considerable volume of paperwork, data processing, and transactions, Lilly assists in making certain that every “i” is dotted, and every “t” is crossed. As a goal-oriented and success-driven individual, Jeff Hearney gives much emphasis in the value of dedication and commitment. As the Operations Manager for Sierra Tucson, Jeff oversees the success of the entire operation and help lead, hire, and train his team. Believing that it takes dedication, hard work, and loyalty to drive an organization to success, Jeff has always made it a point that he offers the best service and outstanding job performance in all the roles that he takes on. Jeff possesses a background and in-depth understanding of various aspects of management, human resources, customer service, general administration, as well as experience in the auction industry. In addition, his visionary mindset along with a positive, can-do attitude makes him a valuable addition to the team. Jeff developed and honed his craft while receiving his Bachelor’s Degree in Psychology and Sociology from the University of Arizona. Jeff then furthered his knowledge by receiving his Master’s Degree in Business at the University of Phoenix, where he was inducted to the Delta Mu Delta Honors Society. Jeff was born and raised in San Diego, and in his free time he enjoys rooting for his Denver Broncos or spending time with his dog Splinter.